After almost 4 months MIA, our pet Honey has returned to the fold. The prodigal cat is back home! It was quite an adventure for our wayward kitty. She went missing the day after my birthday in December and found while my father was in the hospital a little over two weeks ago. My husband shared a detailed account with me on how he eventually got her home. Suffice to say, that he saw a wild cat transformed into the sweet and affectionate cat we knew, as soon as she got home. There are a few people that need to be thanked. First of all, I truly believe my dear ol' dad helped me get my cat back. He knew how heartbroken I was about her being lost. Now that he is able to help his loved ones, he didn't hesitate us recover our pet. My husband also believes St. Francis' intercession had a hand in this small miracle. My sister who also firmly believes my dad helped us, reminded me that my father had a deep devotion to St. Francis, the patron saint of animals. He had a big garden statue of St. Francis in a prominent place in room. It was my father and mother's love of animals that all of us inherited. - My friends like Betty, who knew Honey would be found. She shared with me a St. Martin de Porres connection one morning when she walked home from Mass. St. Martin de Porres is another patron saint of animals. - My homeschooling friends who prayed for Honey to be found and continually asked about any updates. - Our neighbors who actually went beyond the call of duty in helping us search high and low for this cat! Jon, Barbara, Takeo, Wyman, et al. - The security guards all over town who couldn't have been nicer when we posted signs and asked them to keep an eye open for the krazy kat. - The many people who called us when they saw our Lost Cat signs all over our neighborhood. The last one, actually paid off. It was a good thing we never dismissed any call even though it seemed like a slim chance it was Honey. It was a feral cat colony caregiver who called us. She was sure this cat was different than the rest. She called because she saw the sign I posted in the area where she fed the cats. - My family who commiserated with me. I know I am forgetting many, many people for their help and I'm sorry about that. We are very appreciative though. And, last but not least my husband Dan who suffered with me when we lost Honey. He actually felt my pain and prayed, prayed and never gave up hope. He is the actual cat-lover in the family. Prayers answered!!! Esther, how did I miss this? I am so glad that Honey came back home. I agree, it was your Dad and St. Francis that guided her back to you. Thanks for this blog! Thank you for posting this. I am so glad that Honey came home safely. Our beloved cat Phoebe went missing this evening and she has been diagnosed recently with over active thyroid so has been receiving medication over the last week. She came to us from a rescue centre and has been my son's companion and playmate since he was 9 years old. Your story has come at the right time and it has provided me with hope for her. I thank you for sharing the prayer as I have been asking for one to show up. Thank you. Thank you! I am sorry that Phoebe is missing. Please be assured of our prayers. I am posting your prayer request right now. Thank you so much for your prayers. They have been answered! Phoebe has been found by the RSPCA so I am now trying to contact them to bring her home. That is wonderful news!! I am very happy for you. Thanks for letting us know. Aloha! I have a similar story. My cat Smokie went missing this past weekend for 3 days. We posted up many flyers around and received a call about a cat found on a main road nearby that was hit by a car but still alive at the time. I called around to every animal hospital and finally found him. He seems to be doing ok and we are hoping he will recover fully! God Bless all who have helped us! Lynda, thanks for sharing Smokie's story with us. Let me know if you want me to post a prayer request for him. Maria, I am posting your prayer request right now! Please be assured of our prayers. Delightful to know that your pet came back !! We are praying for Peaches. My boyfriend just moved and his cat, Elmer, ran off and hasn't come back since 10/30. Please pray for his return. The prayer request for Elmer has been posted. We will be praying for his safe return home. A prayer request has been posted for Bob. We are praying for his safe return home. 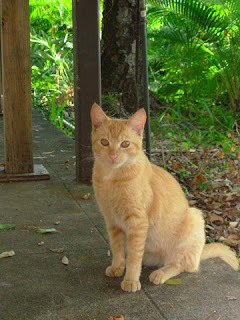 we recently lost our Beloved Little one Taxi she went missing on February 10, 2011 . We dearly miss her . Can you please keep her in your Prayers . Thank You . God Bless. can you pray for her safe return home. she is a dogie 3 years old and small we have no idea what happened to her she never showed interest in wondering off or running away.I've posted flyers all around our neighborhood and neighboring neighborhoods we got a few leads a week ago but when we went to check the dog people saw wasn't there anymore.We really miss her and want her home safe and soon Thank You for your prayers . Aliza your prayer request has been posted. We are praying for Taxi's safe return home. Hello all, please please please be so kind as to pray for my young kitty Samson. He somehow snuck out of the house today while I was unloading groceries but I didn't realize til two hours later. He is just six months and is an indoor kitty so doesn't know of the world outdoors and I'm sure he's terrified. We've looked all over and can't find him. It's very cold out. My husband and I are beside ourselves. Please send prayers. We moved our St. Francis statue from the deck to the front of our house (by the garage where Samson escaped) to guide him home, just in case. I don't know what else to do. Your prayer request has been posted. We are praying for Samson's safe return home. My mother in law's cat names Ashes has been missing from her home for about 2 weeks. I have helped search high and low for this cat with no luck. Ashes is an beautiful gray indoor and outdoor cat and is about 10 years old. Why she suddenly disappeared is a mystery. I have been praying daily for her return. She is the special companion to my mother in law who is 78 and is very sad over her disappearance. Brothers and sisters, please pray for the return of Ashes to her home in Norman, Oklahoma. Andrea, a prayer request has been posted. We are all praying for Ashes safe return. I will pray for all of you who have lost their precious cats. My beloved cat, Gracie, has been missing for 10 days and I am at my wits end trying to find her. She's never been out of the house I am terrified she will come to harm. Ads in all papers, flyers all over, and a $200.00 reward is not helping. Pls pray for her safe return - I love her so mcuh. Eileen, a prayer request has been posted. Please be assured of our prayers for Gracie's safe return home. My boy Vinnie has been missing since August 1. He is a sweet and funny cat and deserves to be home where he belongs. I feel truly heartbroken and wretched without him here. Please help me with your prayers. Thank you so much. BTW, I have posted a prayer request. We are praying for Vinnie.